There are hundreds of Microsoft Project alternatives, and we have covered them before. There are cross-platform and Web alternatives, but in this article I will focus on Microsoft Project alternatives for Linux in particular. The distinction is a bit tricky because technically Web-based alternatives can be used from Linux, too. Some of the apps I’ve included have a Web version as well, but my main consideration was if they run on Linux or not. So, if an app has a Linux install, it’s included here. Of course, I can’t include all the project management apps for Linux, so I tried to narrow down my selection to the five I consider the best. ProjectLibre is the new and updated version of OpenProj. It’s compatible with Microsoft Project 2003, 2007 and 2010. Some of the features it offers are Gantt chart, earned value costing, PERT Charts, RBS Chart, network diagram, WBS/RBS charts, resource histograms, etc. Its authors claim it’s a Microsoft Project replacement, but I am not sure this applies to the free community edition or the paid version. One of the main advantages of ProjectLibre is that it has translations (of the app and the docs) in dozens of languages. 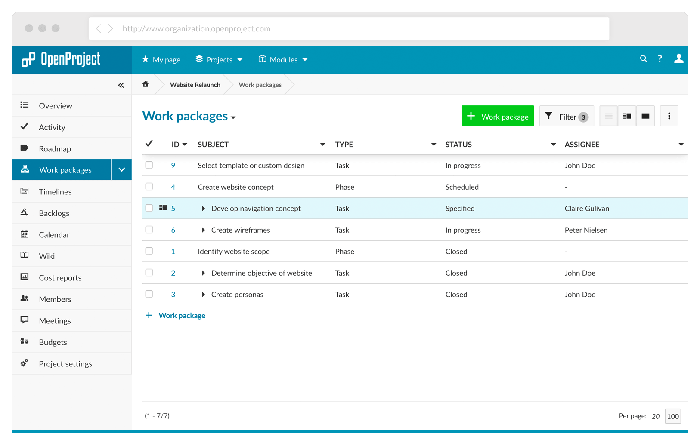 If you are looking for an advanced project management tool for Linux, try TaskJuggler. Its authors call it “project management software for serious project managers.” This is because the app covers a project in its entirety – from the raw idea to the final completion of the project. 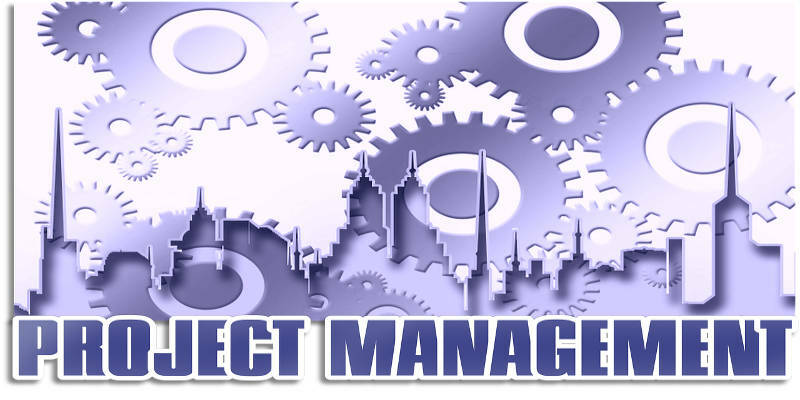 TaskJuggler helps with project scoping, resource assignment, cost and revenue planing, risk and communication management. 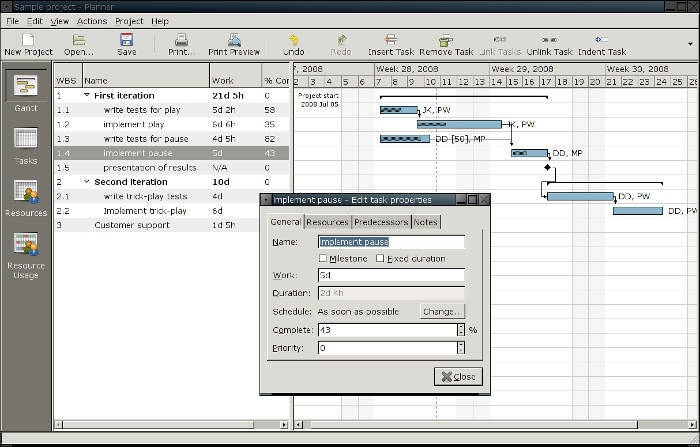 There is an optimizing scheduler, a resource balancer and a consistency checker that help you keep the project on track. You can use TaskJuggler for any kind of project, including Extreme Programming and Agile Projects. OpenProject is another project management app that comes with a free and a paid version. The free version offers project planning and scheduling, product roadmap and release planning, task management and team collaboration, Agile and Scrum, time tracking, cost reporting and budgeting, and bug tracking. More or less this is enough for most small to large projects, but if you want more advanced features, such as custom themes and logos, Single Sign On, or dedicated support, you can consider the Enterprise or Cloud versions. Plan by Calligra is one very neat app you can use for managing fairly complex projects with multiple resources. Together with the standard features of most project management apps such as task management and resource planning, Plan has some cool features such as rescheduling (including from the current state of the project) and the ability to compare the rescheduled project to the original schedule. Plan also offers detailed task, resource and cost breakdown functions. With a most recent release dated 25 December 2011, Planner is hardly the most up-to-date app, but still it’s usable. 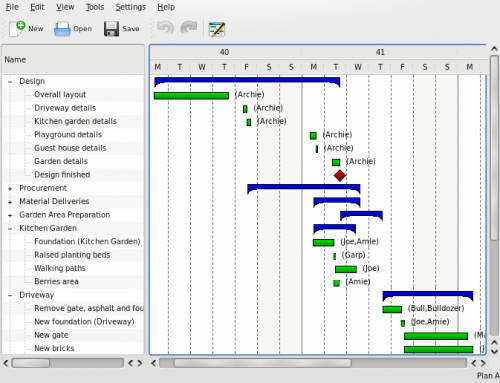 This is the GNOME project management tool. It’s a GTK+ application written in C. You can use it to manage tasks and resources. Planner saves its data in either xml files or in a postgresql database. You can print projects as PDF or export them to HTML. There are many other Microsoft Project alternatives – for Linux and otherwise – I didn’t cover. For instance, I didn’t cover Openproj, Gantter, Redbooth, Rally Community Edition, or FreedCamp because they are already covered in the Microsoft Project alternatives article (even though the article is a bit old, the same apps still exist). If the apps I’ve picked in this article are not what you are looking for, check the other five, as they might be your cup of tea.